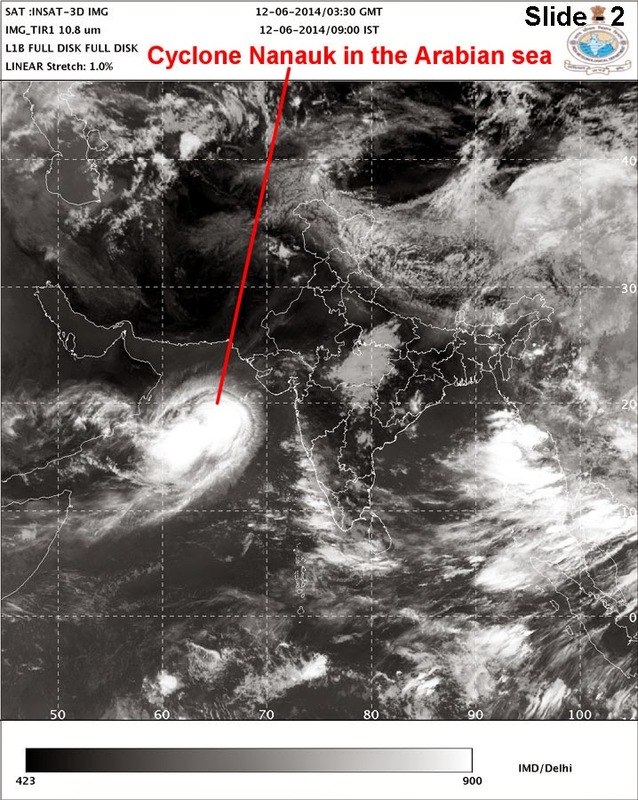 Slide 1 - Projected track of Cyclone Nanauk from JTWC. This the first Cyclone of the season. 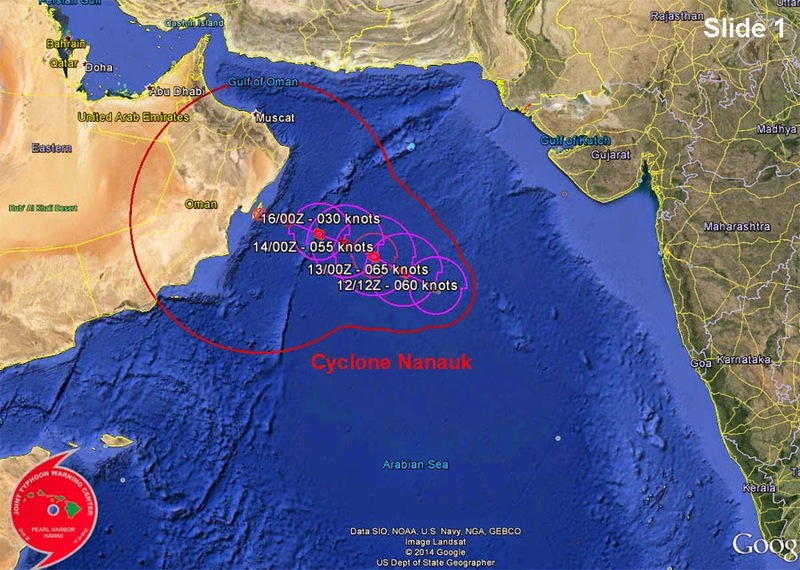 Slide 2 - Position of Cyclone Nanauk on 12Jun2014 at 0900h IST. 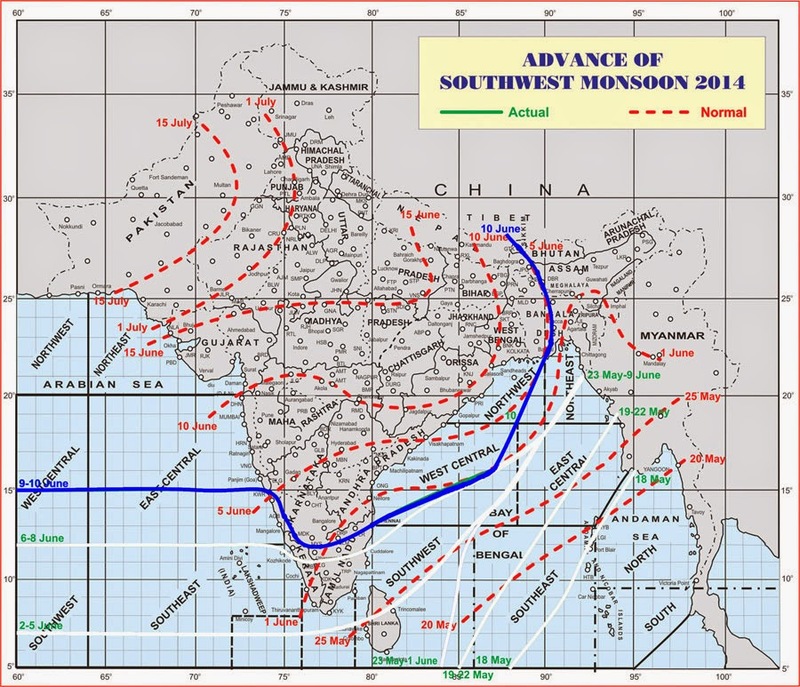 Progress of the SW monsoon (shown above) - indicating it has reached the Sub-Himalayan W Bengal and Sikkim areas.